Interested in furthering your business’ qualifications through learning the French language? Are you involved in the French business market and want your employees to gain extra cultural and linguistic knowledge? Why not take on the opportunity to develop your business potential by providing your employees with the chance to learn French. Their newly acquired language skills in the French language will equip them, and consequently your business, with greater global recognition and accreditation amongst peers. 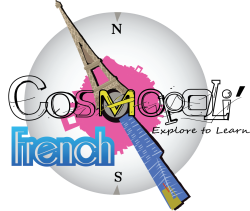 Here at Cosmopoli’French, we believe that our school is perfect in providing businesses with a stimulating and rewarding learning environment in which your business needs and the educational demands of every individual will be met. From vocabulary to syntax, comprehension, the development of aural skills and speech, we will accommodate to every level of learning to ensure that businesses like yours can operate with confidence within a French setting. Beyond theory, we furthermore ensure to provide business with extensive cultural knowledge so that transition from the comforts of the Australian culture to that of the French culture is not a difficult one. Rather with the understanding they’ve acquired of France, and with the help of our native French-speaking teachers, your employees will be able to react positively to differences in French society. We can specifically tailor our courses to meet your requirements not only on an educational level, but so too on a financial level, to guarantee you and your employees are satisfied. Contact Nathalie Marguerite, the Founder and Director of Cosmopoli’French, through the following details below to find out more.